A Freelance Lighting Cameraman with over 20 years diverse experience; creative, enthusiastic, a dedicated professional and very easy to work with. He has good people and comunication skills and capable of working with sensitive subjects. "I have a vast experience in a range of shooting techniques and I have an ability to create imaginative images. I enjoy working both with a team collaborating to produce creative photography, however I am equally happy to work on my own initiative to ensure the best possible results are achieved." He has considerable experience working abroad, in conditions from -25° to 110°F and has experience in Aerial filming, mini cams, has his own mini-jib, track and dolly. He also has good handheld skills and enjoys creative lighting. 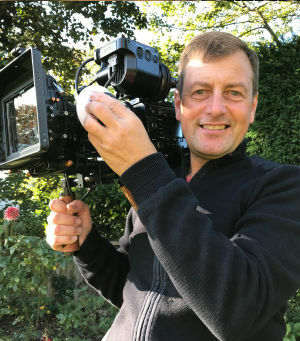 Robert has worked on a huge array of programmes over the years, from documentaries to drama, commercials to cars, music, factual, cookery, two programmes from Buckingham Palace, and Royal Rota crew. 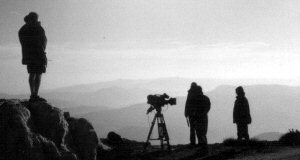 He has been the only Lighting Cameraman to act both as Director of Photography and Camera Operator on the UK episodes of 'Home and Away'. He puts 100% effort into his work, whatever the project and always hopes that production and contributors enjoy working with him while endeavouring to achieve the best results.